So Rosh Chodesh Tevet will take place over the weekend, but never fear, we will hold our Rosh Chodesh Tevet Assembly on Monday morning! And with another Rosh Chodesh comes the introduction, from our “7 Habits Prototype Team” and Knesset, of the third of the 7 Habits: Put First Things First. As the song says, there are 525,600 minutes in one year. However, when you consider that approximately 175,200 minutes of that time will be spent sleeping, 16,425 minutes spent eating, and if you’re a student, 72,000 minutes spent in school, you have less than half that total to spend on the rest of your life. Therefore, it is essential to do the important things first—if you leave them until last, you might run out of time. You know how something is so obvious that you dismiss it? That’s how I feel about this habit. You have likely heard that song and/or seen that video numerous times in the past and you know that the moral of the story is to remember that your big rocks are your family and friends and to not get bogged down in the sands of workaholism and workaday concerns. So why did I get to work yesterday at 7:00 AM and come home at 9:15 PM? Why do so many of us struggle with finding balance when we know where our true priorities lie? I don’t have an answer…but I do have an opportunity! I really believe that Canada is a place that pays more than lip service to work-life balance and wellness. It may not have quite rubbed off on me yet, but I welcome the opportunity to share and reflect with my Canadian colleagues about how we try to keep ourselves spiritually, mentally, emotionally and physically prepared to passionately pursue our profession while remaining loving and present spouses, partners, parents, children and friends. …I purchased a mini-standing desk for laptop users. …I purchased a seasonal affective disorder lamp. I have seen the articles all about how “sitting is the new smoking” and if that is even partly true, I am sadly stage something with sitting. So I am now standing a few hours a day at my desk and we’ll see what happens! It is dark when I get to school and dark when I leave school. And for fun, for about half the year it is pretty dark while I am at school too! So I have decided to see if one of these SAD lights will keep me un-SAD during the long winter months. 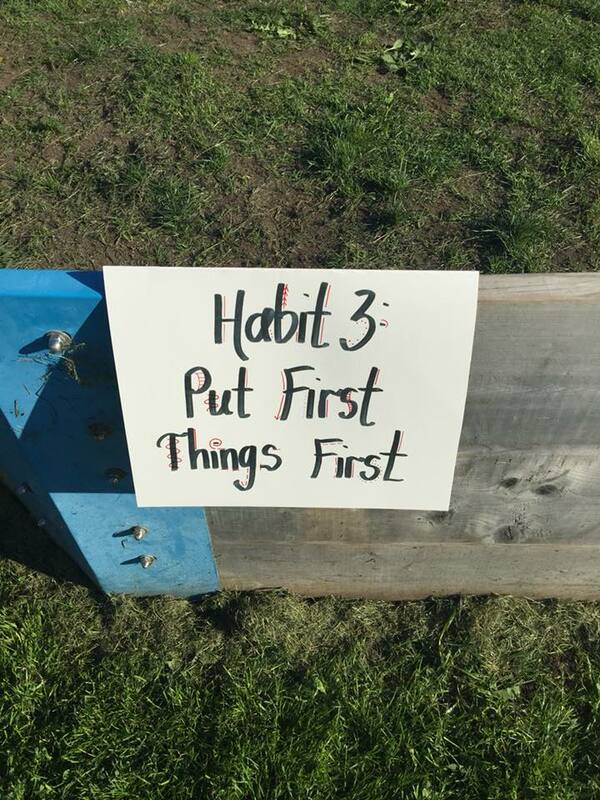 What do you do to “put first things first”? Feel free to share your secrets via a quality comment on this blog!